Regardless of whether you’re a local or just visiting, you’ll want to explore all the things to do in Ridgeway. From restaurants to parks to places to shop, Ridgeway has an option for everyone. 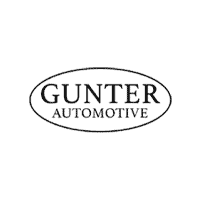 As a member of the greater Martinsville community, Gunter CDJR Martinsville is staffed with people from all around the area who want to share their favorite local spots with you. Let us be your guide to Ridgeway! With surrounding areas like Reidsville, NC and Greensboro, NC, there’s no shortage of activities to try and things to explore. Jeep Wrangler LED headlights let Danville and Reidsville, NC drivers increase their visibility, providing a better and safer driving experience. Jeep Wrangler LED headlights can be equipped to a new Jeep Wrangler for easier and safer navigation around Martinsville. You can purchase a higher trim for LED lighting or outfit a lower trim with approved Mopar® LED bulbs….